" I'm hooked. This stuff is great! it absolutely helps me relax and fall asleep. " " This stuff is great. I fall asleep faster and my nasal passages aren't so dry when I wake up. " 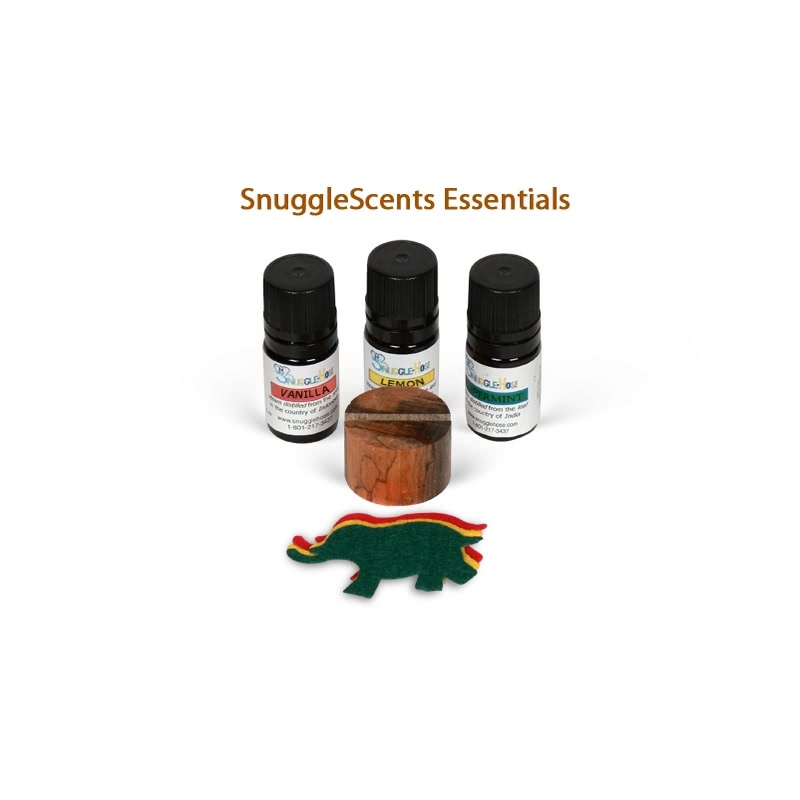 SnuggleScents Essentials is a collection of aromas that are great for calming nerves and soothing nasal passages. The Essentials is tailored for new aromatherapy users and comes packaged with the most popular scents. Each package comes with one 5ml bottle of Peppermint, Lemon, and Vanilla. 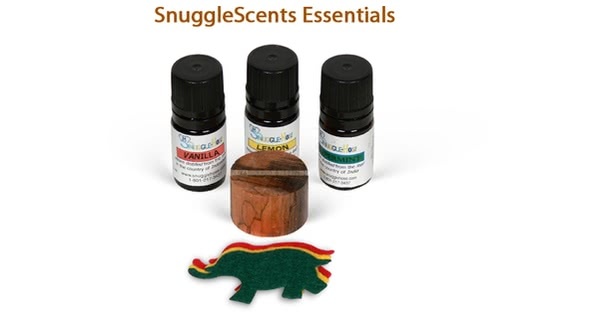 SnuggleScents are a line of aromatherapy oils selected to help acclimate users to CPAP therapy. 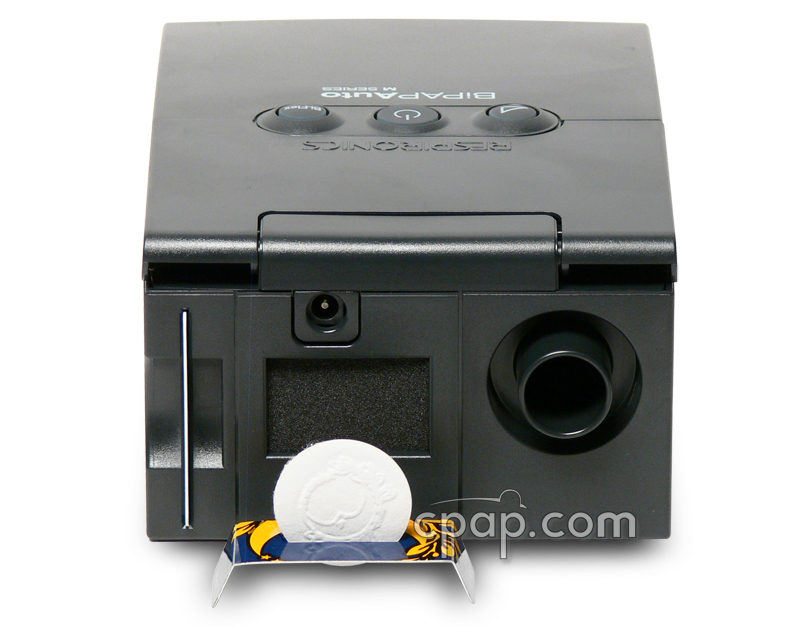 Put a few drops of the essential oil on one of the elephant oil pads and place the pad in the slot on the wooden stand, in front of the air intake on your CPAP machine. Turn on your CPAP machine and waves of relaxing aroma will help you fall asleep faster and awake refreshed. One 5ml bottle of each Essential oil: Vanilla, Lemon, and Peppermint. Vanilla. Relax to the soothing aroma of vanilla beans during the night. Vanilla is a dense and rich fragrance. Let the warmth and comfort of the aroma calm your nerves. Lemon. Use lemon aromatherapy when energy levels are low or emotional stress is high. Lemon is a natural anti-depressant and produces a bright, fresh fruit smell. The light aroma focuses your mind and improves mental clarity. Awake refreshed and re-energized. For a unique holiday blend, mix the vanilla oil with peppermint to enjoy a crisp candy cane scent.